CDI News | CDI Precision Measurement and Mitutoyo Team Up to Offer You the Industry’s Best Deal in Optical Comparators! Best Deal in Optical Comparators! IN STOCK NOW AT CDI! Bench-top model that uses horizontal optical system. 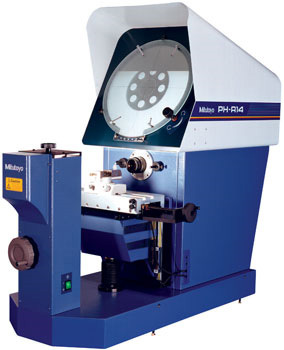 Suitable for thread pitch measurements-blurred or distorted images will not be produced when workpiece is angled. Inverted image on the day bright screen. 14”(356) diameter Vernier protractor screen with solid line cross-hairs for easy alignment. BUY NOW!!! : As of April 1st, 2018, Mitutoyo is raising the price of the PH-A14 by nearly One Thousand Dollars. NOW is the time to buy, because at CDI, you will enjoy the lowest price in the industry on the popular and super-versatile PH-A14 Profile Projector! Don’t forget to save money on your controller of choice.. 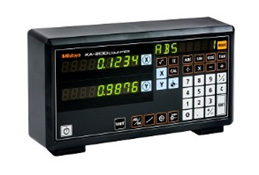 Check out the KA Counter and the QM Data, QM Data 264-156A. 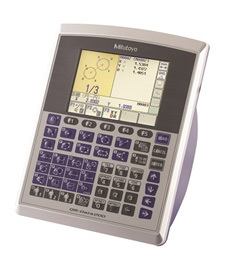 Mitutoyo America Corporation is a sales, marketing, and most importantly a service organization that was established in the United States by Mitutoyo Corporation in 1963. Since day one of operations, supporting custom- ers has been the first priority. Initially we provided replacement parts and repair services. As our customer base grew, so did customer service demands. In response we built one of the highest performance A2LA Accredited Calibration Laboratory’s (A2LA Certificate #750-01) in the nation. Now we offer turnkey metrology solutions and even integrate measuring directly into manufacturing processes via inline automation.